Towing a Jeep has never been safer or easier. Predrilled for easy installation. 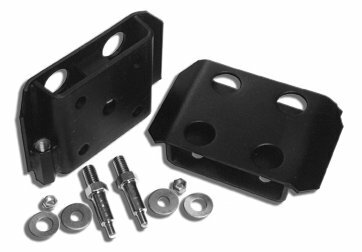 Hardened bolts and steel spacers give added strength to prevent leaf springs from breaking in an accident involving the tow vehicle. Powder coated black. See tow bar sold separately.